Thank you for your interest in Rooms To Grow! We are delighted to offer you an in-store OR online shopping experience for quality products at affordable prices. When it comes to design, we love what we do and enjoy seeing the transformations that take place in the nurseries and children's rooms we create. If there is anything we can do to assist you in purchasing your child's first bedroom set or designing the room of their dreams, then we would be pleased to hear from you. Saturdays open to the public between 10am-2pm (no appointment necessary). Tuesday-Friday (viewings by appointment only). Please email us at andrea@roomstogrow.ca to book your appointment. Parking in front of the store OR in the rear parking lot. Deliveries are available Tuesday-Saturday. 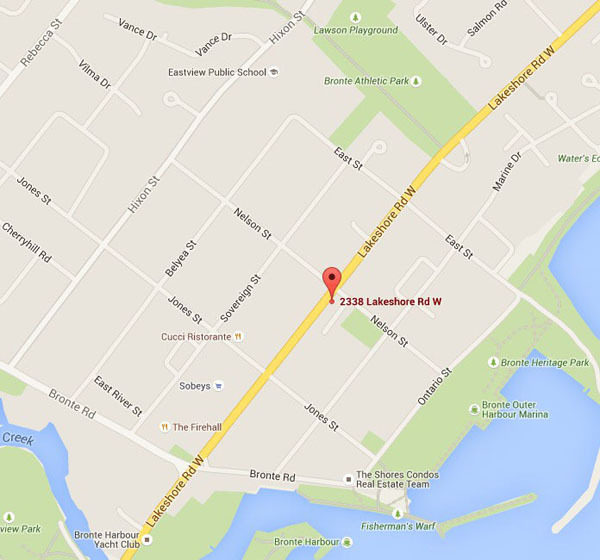 Furniture pick-ups can be arranged at the north Toronto warehouse. Design Service appointments can be done in the comfort of your own home or at the Lakeshore West boutique. Please inquire for pricing. Rooms To Grow is a family-owned and operated company founded in January, 2008, by Andrea Sarlo, "mompreneur" and mother of two. Rooms To Grow began as an online destination for quality nursery and youth furniture at affordable prices. 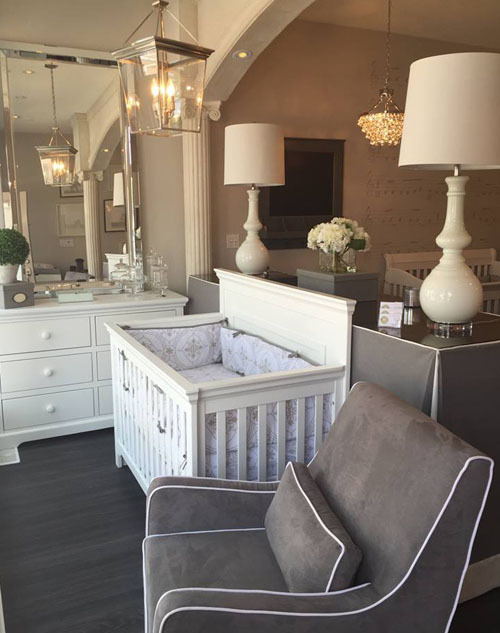 In June 2015 we opened up a brand new boutique showroom where we have selected samples of our nursery furniture and gliders on display to show the quality of the furniture and colour selection. All of our furniture is made using quality, durable beech, birch, pine, and other hard woods. Non-toxic finishes are used, and all furniture meets and exceeds Canadian safety standards. You'll see this furniture in many high-end baby stores across Canada priced much higher as we sell to the public at FACTORY DIRECT PRICING! Our furniture is made to grow with your child so it will last you for many years to come. At Rooms To Grow you will experience a more "personal" type of shopping and design experience that beats the big box stores. Please feel free to shop online or come into the boutique to see us. Happy Shopping! Choose your item/items from our website. Send us your order via email to andrea@roomstogrow.ca. Please list all products chosen, your name, full address, phone number and whether you'd prefer delivery OR pick-up. If you have a preference for a specific date, then please include it with your order. Deliveries are done on Saturdays between 9am-4pm. If you are choosing a custom glider, then please also list the fabric swatch name and number from our selection of fabrics on the site. We will send you an itemized invoice by e-mail along with payment options (see below). Shipping fees and confirmation of dates will be included on your invoice. Once your order is ready to be delivered OR picked up, we will send you confirmation by phone or email. If the item is in stock, then it would be available for delivery within 1-2 weeks. If it is a special order item OR a custom glider, then it will take between 4-8 weeks. To keep our prices as low as possible, we accept payment by Cash, Certified Cheque, OR Interac E-mail Money Transfer (a safe method of payment available through Online Banking for all the major banking institutions). E-mail transfers are sent to andrea@roomstogrow.ca. Instructions will be on your invoice. If you prefer to pay by Paypal/Credit Card, then please ask us for our low cost options. All prices on this site are in Canadian dollars. HST is applicable. Most furniture items are currently in-stock at our warehouse and have a quick delivery time. Some special order items AND custom-covered fabric gliders will take between 4-7 weeks. Delivery within the GTA is available Tuesday-Saturday (Driver will contact all customers directly to arrange specific days and time frames that work for the customer). Delivery fees vary within the GTA so please email us for a quote. We will do everything we can to keep the delivery cost as low as possible. Pick ups are also available at our north Toronto warehouse. Custom gliders can be picked up at our Burlington, ON warehouse. All cribs require assembly and most dressers and some gliders come fully assembled. An assembly service is available for an additional fee. Please inquire for pricing on assembly. For deliveries to other parts of Ontario OR to other provinces in Canada, please email us for a quote. Exchange only within 14 days on defective items with receipt of purchase. Exchanges must be made with original packaging. Custom-covered gliders and all mattresses are FINAL SALE. All furniture is sold with a 1-year manufacturer's warranty. Rooms To Grow supports this warranty for 12 months from the delivery date (or pick-up date) of this item to the customer. This warranty excludes misuse or abuse, and is limited to repair or replacement of defective parts. Shipping fees are non-refundable and are not covered by the manufacturer or Rooms To Grow. This warranty is valid for the original purchaser only.